City themed drink tickets add flair to your special event! This Toronto Drink Ticket with a black and brightly colored background comes with a cityscape of Canada's most popular city. 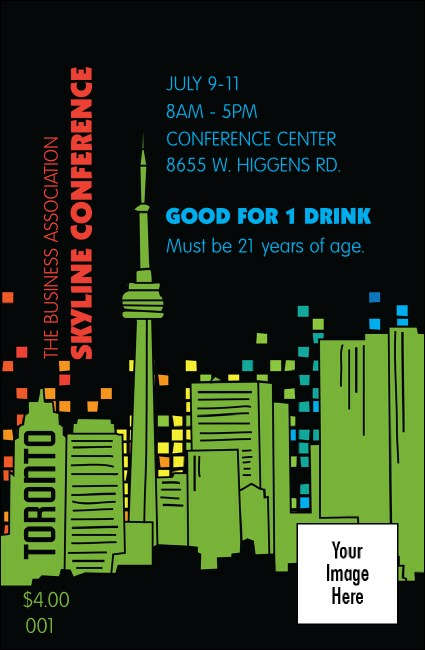 Let TicketPrinting.com help organize your next event with a Toronto Event Kit! Want a different city? Check out TicketPrinting.com's other city-themed Event Kits!